The Flash: What Sketchy Things Did Harrison Wells Do In "The Flash Is Born?" 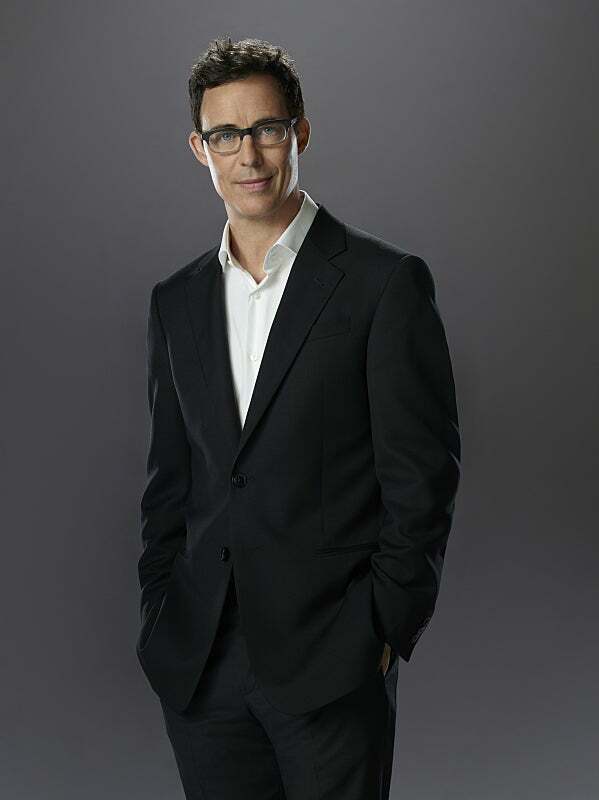 Last night was a big night for Dr. Harrison Wells, the sketchiest man alive. This week's episode of The Flash saw Wells recruited into the effort to find Nora Allen's killer -- and somebody didn't like that one bit. Now, while it could very well be that somebody is watching either Wells or Joe West (or both), it's hard to escape the conclusion that Wells is up to something really unsavory. Why? Well, here are some of the things he did to draw suspicion to himself. This one's a twofer. Not only is he once again being fairly cavalier with the supervillains, but it's hard to ignore the fact that when a guy who knows the future of the DC universe alludes to the Man of Steel, it's not intentional. It's a way for the writers to have some fun with the audience twice, and for Wells to drop something on Barry when Barry doesn't even know it's happening. This is the beginning of something that's very big and very bad. There are really a few reasons why Harrison Wells would try so hard to throw Joe off the trail of the Reverse-Flash. The first is that he's protecting the Reverse-Flash -- for some reason. It could be that he just knows the role Reverse-Flash has to play in history and that he doesn't want it jeopardized; it could be that the Reverse-Flash has something over Wells -- perhaps he's the one responsible for the accident that killed his wife, and has offered a chance to bring her back via time travel? And, of course, there's the idea that he's Hunter Zolomon -- that he's there to make sure Barry turns into the hero he's supposed to be, and to "help" him be better. To that end, it would likely not be Wells/Zolomon who killed Nora...but he could very well be communicating with Eobard Thawne, the way he did in Flash: Rebirth in the comics. Of course, this is no guarantee that Wells is a bad guy. He could be protecting Barry from getting too close to a serious threat until he's "ready" for it. He could be trying to redirect Joe so that Joe and/or Iris aren't put in danger. He could have figured out that Barry has the potential to time-travel, and be concerned that it's Barry who killed Nora -- in which case, maybe he's protecting Barry until he can get to the bottom of things. That certainly would indicate that he's got some connection to the Reverse-Flash. Could he have sensed a disturbance in the speed force? It's impossible not to suspect that Wells is in cahoots with the Reverse-Flash after the invasion at the West house. What's particularly scary is that at one point in the comics, the Reverse-Flash actually did kill Iris -- something that really messed with Barry's head, obviously.